H. Rick Bamman -hbamman@shawmedia.com Gertrude Worth celebrates her 105th birthday with Heritage Woods neighbor and friend Lillian Thorsen. 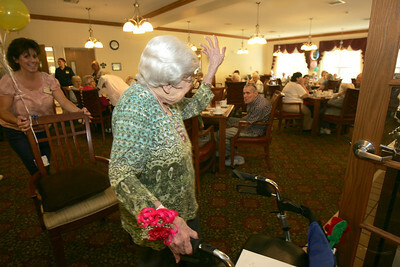 Worth turns 105 years old today. Worth's earliest memory is when she was about three years-old in 1910, leaving her house to visit a neighbor and found the twin little boys getting their hands and faces washed by their mother. "I remember that like it was yesterday, because my mother didn't know where I was." 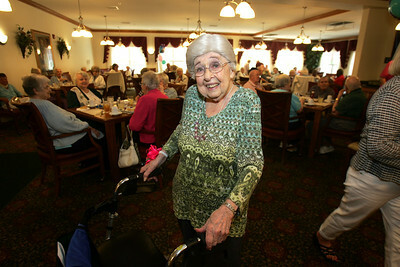 Worth's favorite foods are pot roast and a "wonderful fudge my son makes, I'm a Chocoholic," she said. 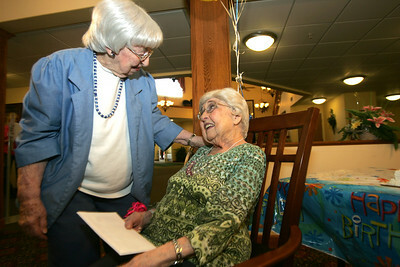 Gertrude Worth celebrates her 105th birthday with Heritage Woods neighbor and friend Lillian Thorsen. 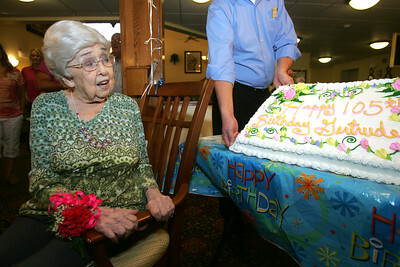 Worth turns 105 years old today. 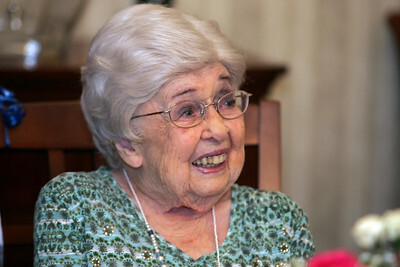 Worth's earliest memory is when she was about three years-old in 1910, leaving her house to visit a neighbor and found the twin little boys getting their hands and faces washed by their mother. "I remember that like it was yesterday, because my mother didn't know where I was." 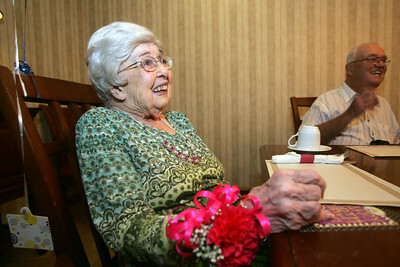 Worth's favorite foods are pot roast and a "wonderful fudge my son makes, I'm a Chocoholic," she said.